Here is a very helpful overview of the positions taken by the two presidential hopefuls. 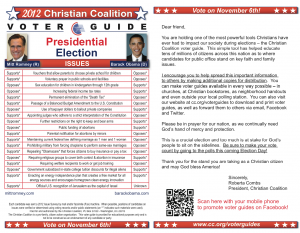 It might be a good idea to spread this around and share it with family and friends and in church bulletins. 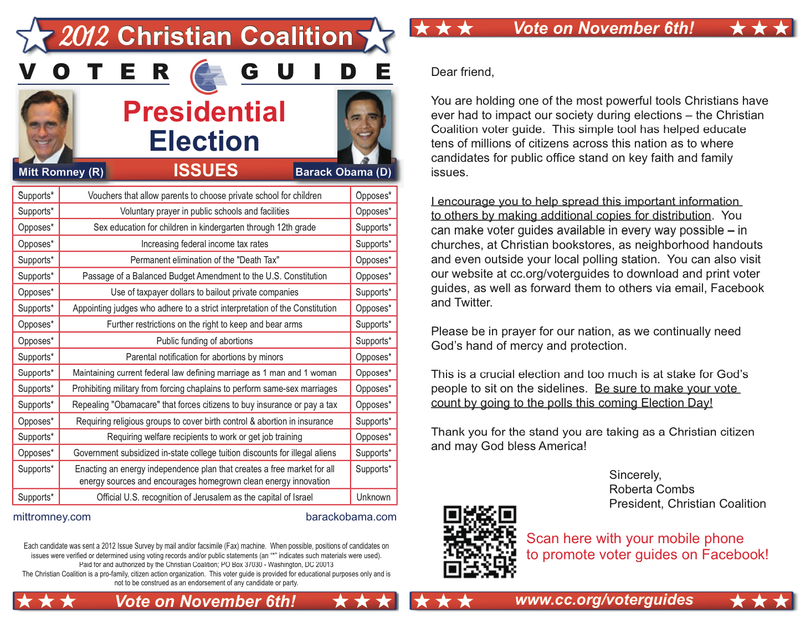 To visit their website and download this charge in PDF format, click here: http://www.cc.org/voterguides. Click on the image below to increase its size! 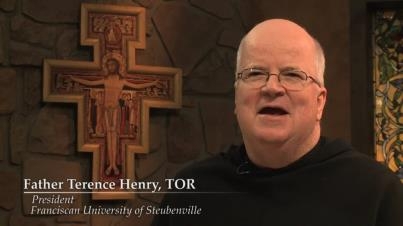 President of Franciscan University in Steubenville: A Call to Witness during this Election! STEUBENVILLE, OH—As Catholics prepare to cast their votes next month, the call to witness according to the tenets of their faith becomes paramount. Quoting the often prophetic English Catholic apologist G.K. Chesterton, Father Henry reflects on today’s threats to religious freedom, and when and what to render to Caesar. You can view Father Henry’s homily, titled A Call to Witness, at Franciscan University’s Faith and Reason website, http://www.faithandreason.com/category/channels/the-american-experiment/.